Download our desktop app. Choose a site to scrape data from. Get data from multiple pages. 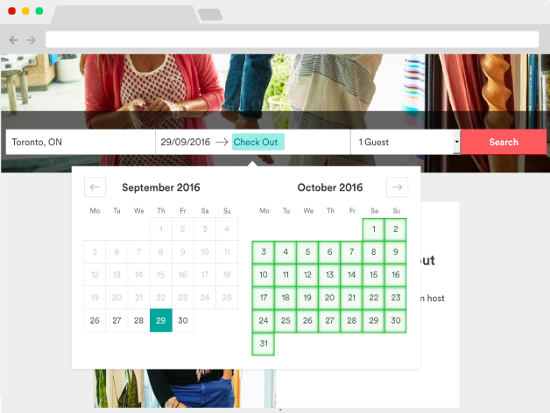 Interact with AJAX, forms, dropdowns, etc. Access data via JSON, Excel and API. Data is collected by our servers. Hoda and her team at ParseHub are fantastic. They pull together estimates very quickly so I can get details back to clients. Most importantly, the data that ParseHub pulls for us is always complete and ahead of schedule. I truly don't know what we would do without the great work of the ParseHub team. ParseHub was quick and easy to start up and has handled the trickiest of navigations and extractions. After a couple hours of hands-on experience and about 30 minutes of free help from their remarkable support team, our company saved weeks worth of effort and yielded excellent results. ParseHub has been a reliable and consistent web scraper for us for nearly two years now. Setting up your projects has a bit of a learning curve, but that's a small investment for how powerful their service is. It's the perfect tool for non-technical people looking to extract data, whether that's for a small one-off project, or an enterprise type scrape running every hour. We were delighted with the quality of ecommerce data and client service that was provided by ParseHub. They delivered exactly what we needed in a time frame that exceeded our request. ParseHub's knowledge of the structure of ecommerce data allowed us to collect a number of pieces of critical information that made the project a great success. We will continue to call on ParseHub for data needs. ParseHub has delivered a comprehensive solution for all our data collection needs. It's simple API has allowed us to integrate it seamlessly into our application. 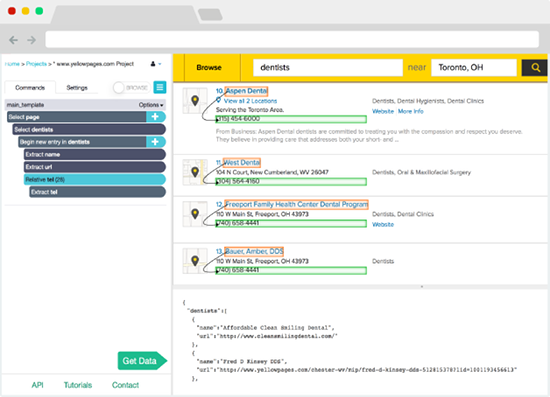 ParseHub is an intuitive and easy to learn data scraping tool. There are a variety of tutorials to get you started with the basics and then progress on to more advanced extraction projects. It's also easy to start on the free plan and then migrate up to the Standard and Professional plans as required. Even better, the customer support is excellent. Highly recommended. As the Database Manager for a boutique management consultancy our data needs are constantly growing and evolving and having tried numerous other solutions I have not found another data mining tool which so ably combines the versatility and power of ParseHub. It comes with an impressively easy to use front end which has allowed even an inexperienced user such as myself to make use of whatever data, irrespective of its format or volume, which I can find. I also make good use of ParseHub's ability to schedule and repeat runs over time and all of this combined with a constantly supportive Customer Service team make ParseHub one of the most useful data tools at my disposal. ParseHub, and especially Hoda and Stephanie, have been nothing short than excellent in providing the best service you can think of. They are fast, reliable, friendly and efficient. You need info, how to or get the scrubbing done, they are the company to rely on. Thanks again for your help. We will do business again! We were one of the first customers to sign up for a paid ParseHub plan. We were initially attracted by the fact that it could extract data from websites that other similar services could not (mainly due to its powerful Relative Select command). The team at ParseHub were helpful from the beginning and have always responded promptly to queries. Over the last few years we have witnessed great improvements in both functionality and reliability of the service. We use ParseHub to extract relevant data and include it on our travel website. This has drastically cut the time we spend on administering tasks regarding updating data. Our content is more up-to-date and revenues have increased significantly as a result. I would strongly recommend ParseHub to any developers wishing to extract data for use on their sites. Easily search through forms, open drop downs, login to websites, click on maps and handle sites with infinite scroll, tabs and pop-ups to scrape your data. Need to generate sales leads? Open a website of your choice and start clicking around. It’s that easy! Scrape your data with no code at all. Our machine learning relationship engine does the magic for you. We screen the page and understand the hierarchy of elements. You'll see the data pulled in seconds. Open a website of your choice and start clicking around. It’s that easy! You don’t need to code at all. Get data from millions of web pages. Enter thousands of links and keywords that ParseHub will automatically search through. Use our REST API. Download the extracted data in Excel and JSON. Import your results into Google Sheets and Tableau. Collect and store data on our servers automatically. Use a fleet of proxies while crawling a website. Get a new set of data daily, weekly, monthly, etc. Clean text & HTML before downloading data. Use our API and integrate your extracted data any where. Download your scraped data in any format for analysis. 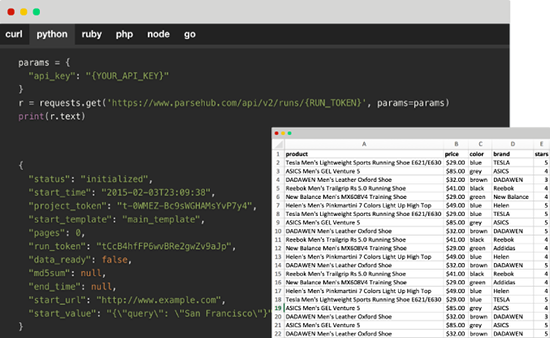 ParseHub will save you a ton of time in extracting data. Absolutely no coding required to scrape any website you want.